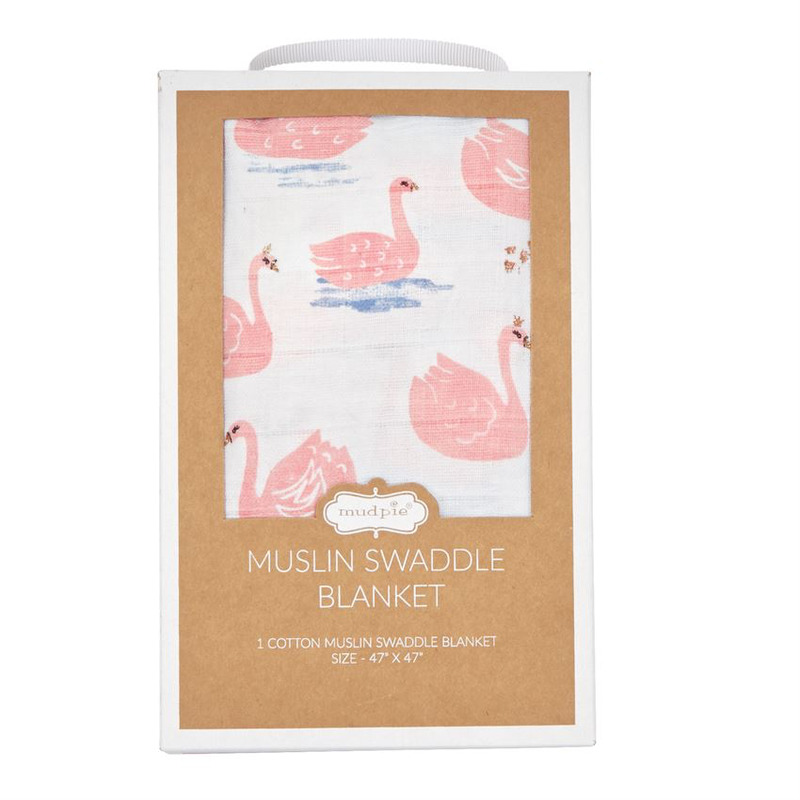 Breathable, versatile and soft to the touch, the simplicity if this square muslin swaddle will surround your sweet baby with goodness day and night! 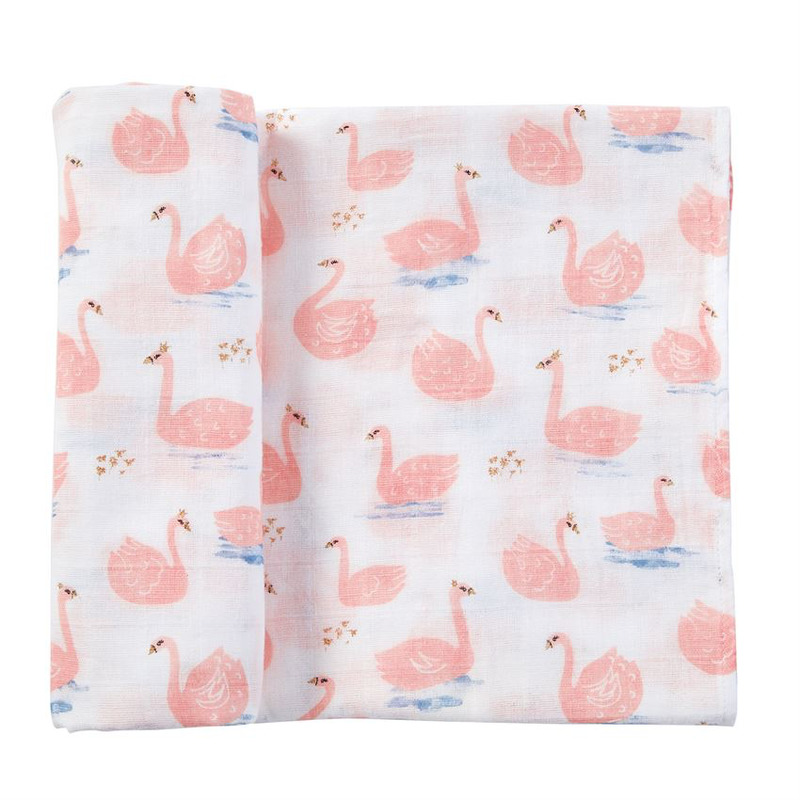 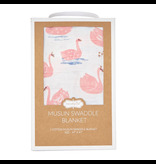 Featuring a swan print design, this swaddle blanket arrives gift boxed for easy gifting. 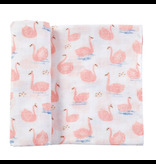 DETAILS Dimensions: 47" x 47"